Are you doing enough on LinkedIn? What is enough? What if you performed an action a day, 6 days a week, for 30 days? That was the question pondered by Des Walsh which ultimately became the seed for a global movement that is spreading LinkedIn success (and LinkedIn success stories) around the world! When you first hear about the idea it has an almost immediate attraction to it—so simple, yet so powerful. My first reaction? I instantly thought of the movie Forrest Gump, specifically the part where he just decided to run and didn’t stop. He ran from one coast to the other and back again. Since he was sustaining something so simple for so long people saw something magical in it and it attracted a large group that continued to grow and grow. While Des might not be running from coast to coast (or the Australian Outback as he is from Down Under), he is running his brainchild, the 30 Day Linking Blitz, and it is continuing to attract people to it from all over the world. Ironically, this idea started because Des thought he wasn’t doing enough on LinkedIn, even though he spends upward of an hour a day on the site. So he created a simple project for himself to do more each day. Once he did that, he thought it would be nice to have a few colleagues to do it with him. Soon the word spread and the group has grown rapidly to over 350 people from all across the globe, a quick start for someone who never imagined they’d be one of the great LinkedIn success stories. Since its origin, the group has added some basic structure to help increase its impact. 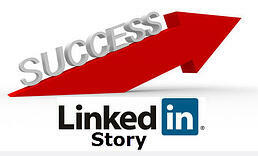 It is a 30-day program for people to improve their presence and engagement on LinkedIn. Participation is voluntary and requires only that you are a self-starter. Commitment should be for about 20 minutes per day focusing on a range of tasks across 30 days. To encourage success they maintain a healthy and supportive group environment. Besides offering this encouragement the group dynamic is also a very strong relationship building tool as well. Start with the business basics: Ask yourself who are you wanting to attract and what products or services do you offer that would be of interest to them. Take a very hard look at your profile and company page: Get others to look at them as well and provide you feedback. The goal is create a presence that is going to excite the people you are trying to attract. Company page: This is a hidden gem. If you don’t have one, make sure you create one, and more importantly, see Tip #2. Make sure that page excites the people you are trying to attract. 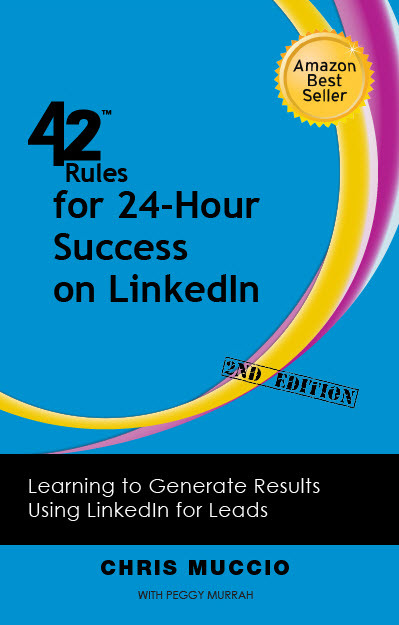 Interested in generating more effectiveness on LinkedIn?